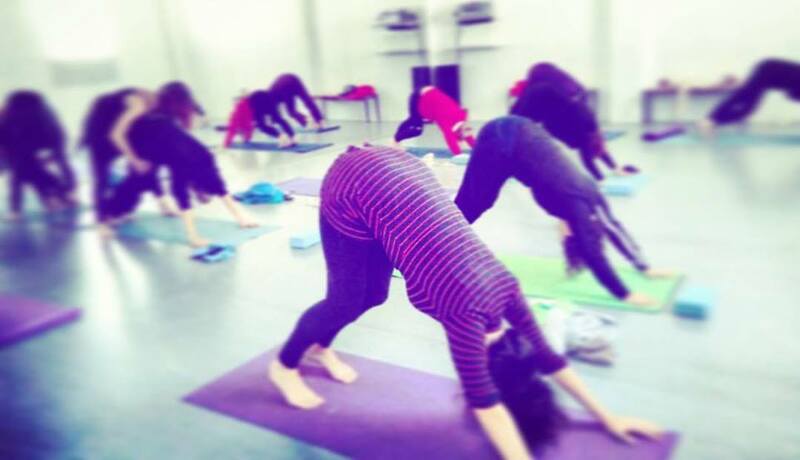 Finding a yoga class in Seville to suit your needs is a tricky process. Is it something dynamic you’re after, or more slow and relaxing, how about something that will get your kundalini energy rising, or promise s to unblock your chakras? Or maybe you just want a good stretch without all that spiritual malarkey? It can be a dizzying process and that’s without throwing in the curve ball that the classes will most probably be in a language you´re not familiar with. But it´s a process that’s worth persevering with, because for every person there is the perfect yoga class, and never more so than right now in Seville, where there is an abundance of yoga on offer from slick operations offering a broad range of classes, to more intimate one man/woman bands teaching in cosy, bijoux spaces. All it takes is a bit of patience and tenacity and a few helpful pointers from those in the know (in this instance me) to guide you on your yogic path. Yoga in its essence is about the union of body, mind and spirit, and in its fullest sense is much more than just the postures (or Asanas) that many people are used to doing. So most classes will include something called Pranayama, which are breathing exercises to free up the prana (your internal energetic system) and often some meditation at the beginning or end to further quieten the mind. Personally I love a class that incorporates all these elements, but maybe it’s not for you, in which case perhaps a class that’s more dynamic or posture focused would suit. 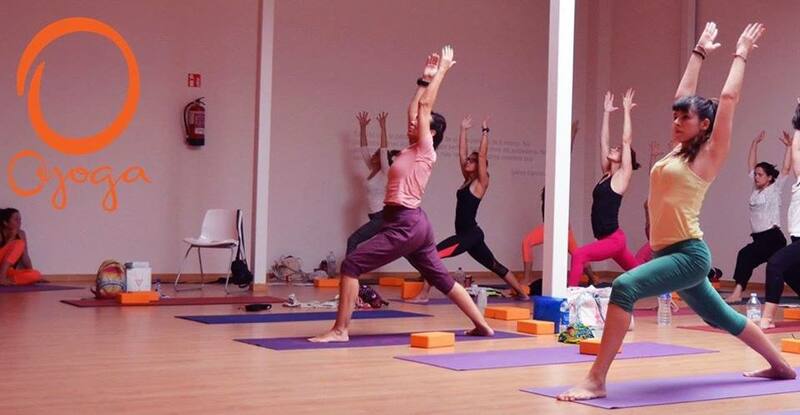 These days in Seville you’ll find almost all styles of yoga on offer. Hatha (the more traditional style of yoga) is always a good place to start from, particularly if you have limited experience, strength or flexibility. Right now Vinyasa flow seems to be all the rage, which tends to be dynamic and as you can guess from the title, involving movement between the postures. Ashtanga is perhaps the physically toughest yoga class to attend as bookending each posture is what is called a ‘vinyasa’, which is like a mini sun salutation combined with a press up, and if you’ve eaten too many mince pies or have little upper body strength, it will almost certainly leave you feeling sore the next day (or two). Iyengar is slowly coming onto the scene in Seville, in which props such as blocks, straps and chairs are used to support rather than force the body into the postures. This can be particularly effective for those who find themselves rather high on the inflexibility scale or are recovering from an injury. And finally Kundalini yoga which works to awaken the snake-like Kundalini energy lying dormant in the base of the spine through the use of chanting, mantras, breath work and some yoga postures. Classes in Seville on the whole operate from Monday to Friday, although there’s a limited offering now on Saturdays. Most centres offer morning and afternoon/evening classes, and are generally priced at around the 10 Euros for a drop in class, or once you’ve found the yoga class for you, prices varying according to how many you commit to per week. The more you want, the cheaper it works out per class, and some centres now offer passes in which you buy 5 or 10 classes and then have a fixed period to use them by. Just a word of warning, you may well be expected to pay a joining fee as well. But how about if you know what style of yoga you want to practise, but your Spanish doesn’t extend much beyond ‘una cerveza por favor’. Fear not, there is a little community of English speaking yoga teachers who have opened centres or teach classes here in Seville, and other classes where the teachers can at least give you a few words of explanation in English. But if you speak a bit of Spanish, I really recommend opting for classes in Spanish as there’s no better way to broaden your anatomical vocabulary: where else would you introduce words like omóplato (shoulder blade) or párpados (eyelids) into your everyday parlance. So now to the important bit. 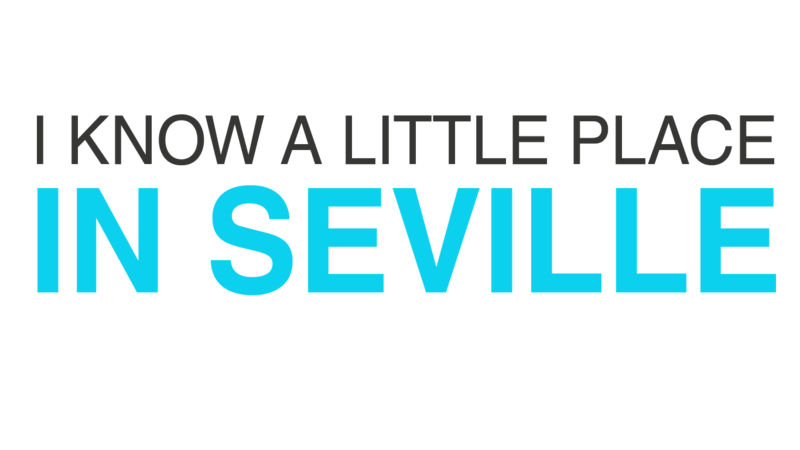 Here´s my guide to a selection of the yoga on offer in Seville in no particular order. 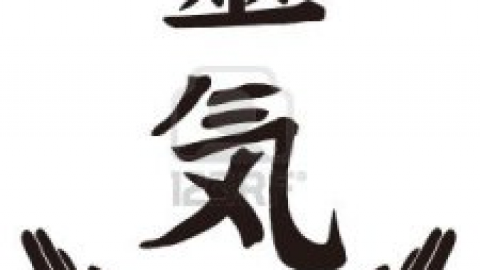 I apologise if I include haven’t included your favourite teacher, it’s not an exhaustive list, and as much as possible I’ve included those that I’ve had direct experience of and/or that offer some classes in English.But please leave any other suggestions in the comment box at the end. 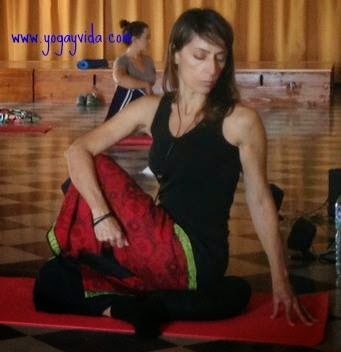 You couldn’t have a more personal experience than a class with Portuguese yoga teacher Paula. Teaching from an intimate space near the Alameda and another just off the Ronda de Capuchinos, she offers small group ‘Integral Yoga’ classes Monday-Thursday in the mornings and evenings. 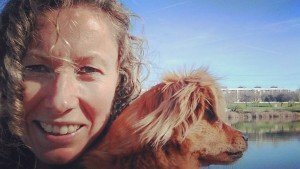 Paula has been teaching yoga for over 14 years during which time she has gone on to train many other yoga teachers and can help out in English when needed. 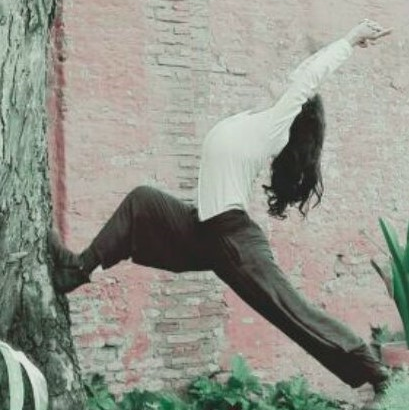 Nestled on a quiet corner, in close proximity to the Macarena Basilica, La Shala is an intimate and friendly yoga space lovingly guided by British Yogi Antonia. Classes, which include Hatha, Vinyasa vibe and pregnancy yoga are usually in Spanish, but for the Vinyasa classes additional guidance can be given in English. 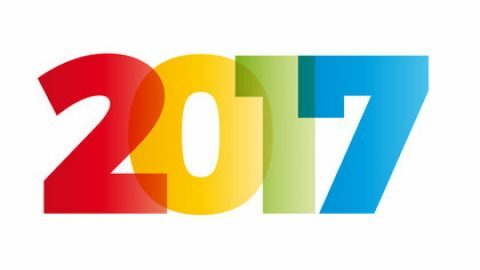 There’s a particularly attractive pricing scheme whereby for 50 Euros you can attend as many classes as you would like per month. Located close to the Alameda, Diksha is somewhere to take your yoga practise if you want explore the spiritual elements of yoga. Silvia brings her serene and wise presence to the classes which are about much more than just stretching and relaxation. Classes are never the same and usually incorporate pranayama exercises, chanting and sometimes Yoga Nidra, which is like a guided visualisation, as well as yoga asanas. Silvia can also give you a helping hand in English. teachers’ lycra trousers. If your body’s been battered by sport, Oyoga also offers an especially adapted Vinyasa Yoga for sport and appointments with Sports Medicine specialist Francisco Gallardo. Classes are available in English, French and German. American Michelle Goodrick offers Iyengar Yoga and her classes tend to be small and intimate which gives her the chance to adapt each session to the physical needs and experience of her students. 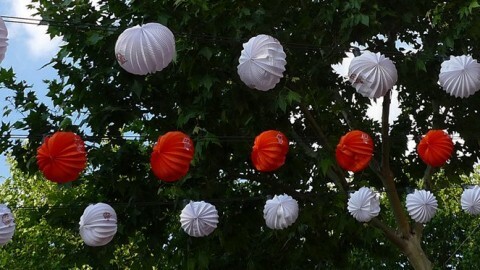 Michelle also offers Yamuna body rolling which is a technique originally from New York combining massage and yoga through the use of rubber balls which miraculously free up restriction, both muscular and energetic. Michelle’s classes are great if you’ve got some musculoskeletal imbalances that need working on, rather than seeking spiritual enlightenment, although who knows, it may take you one step closer to Nirvana along the way. Opened just over a year ago, this fully equipped yoga centre aims to make yoga accessible to everyone. They probably have the fullest complement of classes stretching throughout the day, including Kudalini yoga, with a wide variety of teachers. They are the most affordable offering a trial week free of charge where you can attend as many classes as you wish, and if you decide to continue, per class they are probably the best priced in Seville. They also boast a shop in the reception where you can buy health food products and yoga teacher training courses are available. Two of the teachers Candela and Patricia speak English and are happy to translate for any non Spanish-speakers. Experienced yogi Carmen Torres offers Hatha yoga on Tuesdays, Wednesdays and Thursdays at Sadhana, near Puerto Osario. Unique to Carmen are her regular retreats at the spa town of Alange near Merida, where as well as filling your days with yoga and meditation, you get to wallow in the therapeutic thermal baths. With the every increasing number of yoga spaces opening up around the Alameda and historic centre, it’s easy to forget that there’s a whole world going on in Triana. But that would be very remiss on my part as one of my favourite yoga teachers, Lula teaches on ‘the other side’ of the River Guadalquivir. With almost 15 years of teaching practise, Lula currently gives classes from La Herboteca. Contact Lula direct to find out about her classes. Possibly the hardest working yoga teacher about town is Louise Lavigne, a Canadian by birth and a Yoga Alliance registered yoga teacher. Louise is in the process of opening her own studio in Tomares, just out of Seville. But if like me just leaving the Alameda brings you out in a cold sweat, she can still be found at Oyoga and Espacio 800. Louise who has taught across the globe, teaches in English and Spanish depending on the venue and draws upon different styles of yoga in her classes including Vinyansa, Sivananda, Iyengar, Power Yoga and Anusara. Contact Louise direct to confirm timetable and prices of classes. Pioneer in the Saturday morning yoga class is British Wheel of Yoga certified yoga teacher Ruby Jagger, offering Hatha yoga and twice monthly Ashtanga. Her classes are given in English but cater to an international crowd. 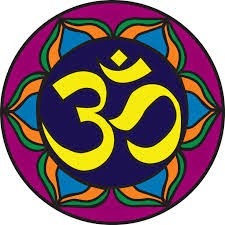 yoga nidra, mantras and yantras”, Ruby says. Her classes tend to be quite sociable and a post-class breakfast with the group generally follows. Classes cost 10 Euros and work on a drop in basis, just contact Ruby beforehand so she can arrange a yoga mat, blocks etc. Another yogi teaching in English and offering occasional Saturday classes is Nillyoga. 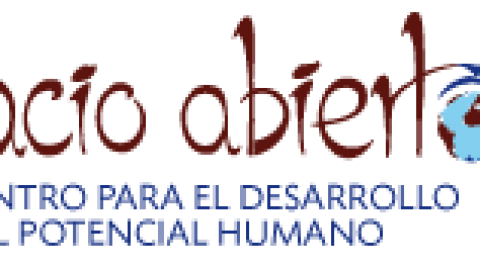 Teaching from the Barca del Buda in the Macarena district, Nilly has a loyal bunch of students many of whom are Spanish speakers looking for a novel way to learn English. Nilly also organises yoga in the Alamillo Park on Saturday mornings. Contact her through Facebook to get more information. 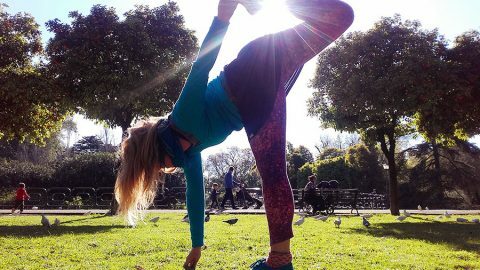 Claudia Wiens offers outdoor yoga in English every Wednesday evening at 7pm in the picturesque surroundings of Maria Luisa Park. Just bring a yoga mat and yourself, as Claudia comes equipped with blocks, straps and years of experience teaching yoga. Not only that but she is multilingual, so if you’re also a German or Arabic speaker, you’re also catered to. Check out Claudia’s Facebook Page for more details. Classes cost 7 Euros and last 90 minutes. Great post! I’m planning a trip to Spain this summer, I have this great apartment in seville i found on this website https://genteel-home.com and I was planning on really enjoying myself with the spanish nightlife. However, it was a little difficult to convince the mrs since she was aiming towards a relaxing holiday and wasn’t to fond of the idea of me getting into the spanish football spirit during the entire stay, but after stumbling upon this post, im pretty sure she’s already ordering new mats and yogapants and checking out all of these sites. Hi Martin, great to hear that the info is so useful for your groups. Have a great day.